Betty Luceigh, Ph.D., has spent her life integrating her profession in organic chemistry with her reflections on the meaning of human experience. Dr. Luceigh earned her B.S. in Chemistry (UC, Berkeley, 1966), and her Ph.D. in Organic Chemistry (Stanford University, 1970). She contributed to the chemistry profession predominantly through teaching her award-winning lectures in organic chemistry. She taught at Santa Clara University and Case Western Reserve University before her last 18 years of teaching at UCLA. Her creative activities in chemical education included the publication of some of the first computer-animated instructional CDs (CHEM TV™) in organic chemistry. 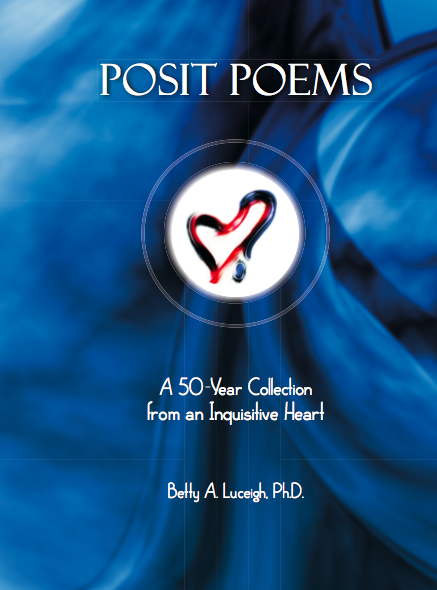 Dr. Luceigh continued privately to write poetry and short essays about her reflections on life as she wrote detailed public chemistry lectures. 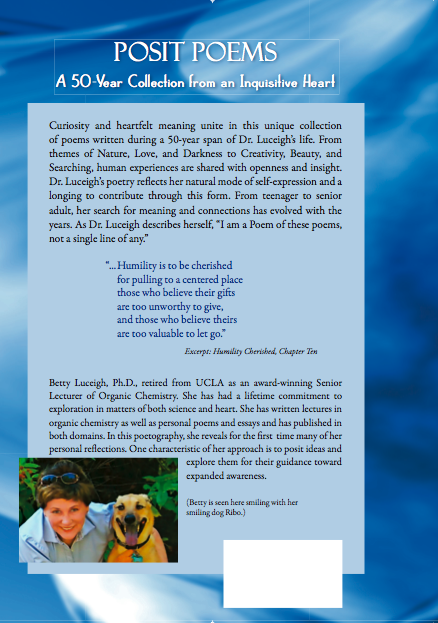 Since retiring from UCLA in 2004, Dr. Luceigh has continued to write from her unique perspective blending science and heart. 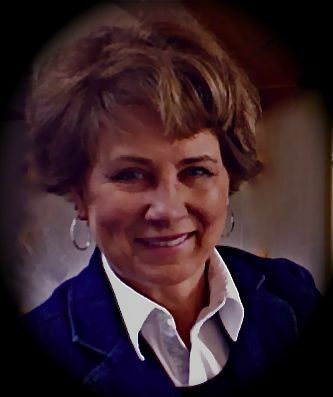 Some of her poems have been published in several volumes of “The Fallen Leaf Anthology” (Stanford “Write Retreats” 2009-2011) and “The Ecozoic Reader”. One of Dr. Luceigh’s gifts is her visionary voice inviting greater understanding and compassion toward all. In addition to new poems being posted on this site, Dr. Luceigh has composed several YouTube videos which can be found under the menu Audio/Visual Works.